More town-specific information will be added in the upcoming days and weeks. We updated the custom Google map for each town in Dallas Fort Worth that we serve. Most map markers (“pins”) now link directly to the specific town’s page on this website; and some also have town-specific videos included. This article is adapted from the original source (here), and it discusses the topic of protecting your property’s foundation during the cold winter months. Your property’s foundation is the absolute most important part of your home. The winter temperature in Dallas Fort Worth, however, means that expanding and contracting soil can cause home foundation problems. So, here’s how to repair and protect foundation issues in winter. The majority of foundation problems are caused by weather phenomena, especially during the freezing and cold temperatures experienced in winter. Many elements impact the foundation of a structure, including wind and temperatures, but by far the most dangerous is water. Over the course of the year, warm temperatures allow rain water to more easily penetrate the soil level. But that water remains in the soil after the rain stops, meaning it freezes and thaws during the winter temperature cycle. In Texas, the range of temperatures can vary wildly in winter, as we are vulnerable to both polar blasts from Canada and tropical systems from the Gulf of Mexico in a short period of time. All of these forces can cause foundation problems for man-made structures. The freeze-thaw pattern can affect a building’s foundation as the soil expands and contracts relatively quickly. 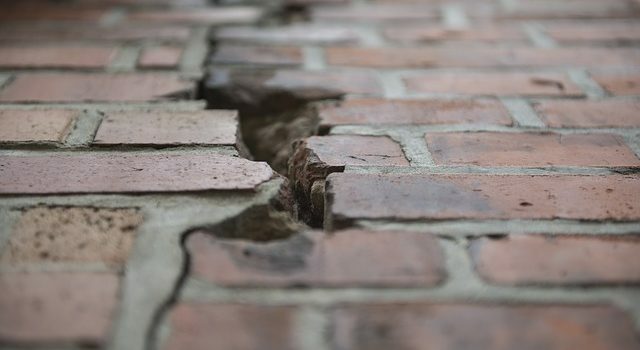 This causes the foundation to crack or settle into the ground unevenly as materials aren’t designed to withstand sudden changes. Temperatures in winter aren’t a problem for many foundations in Texas, but occasionally you’ll get a harsh winter that can create issues. For this reason, it may be a good idea to inspect for foundation problems during the winter months. You may still want to consider checking for foundation problems on a regular basis year-round, so you can handle an issue quickly if you do encounter one. Windows and doors that don’t close or open properly. When a building’s foundation moves excessively, interior elements like door and window frames will bend or warp. This means doors and windows will get stuck or have issues closing/opening fully. 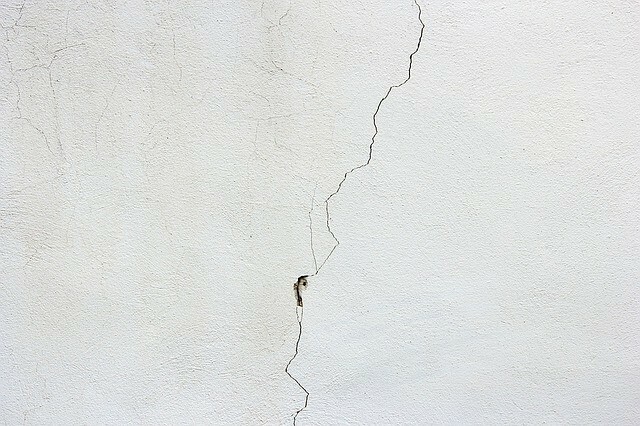 Cracked walls are a common sign of foundation damage. Wall cracks are caused by stresses due to uneven loads. Cracks in floor slabs. Concrete slabs that have cracks, especially on the edges of a building, can indicate foundation issues or uneven settling. Because concrete has limited flexibility to accommodate changes in load distribution, the crack occurs. Water in basement. If you have water on the floor of your basement and it’s difficult to tell where it’s coming from, you may have a foundation problem. Groundwater often seeps into basements from soil, where it penetrates the porous surface of concrete and expands/contracts with temperature. Uneven steps. Steps that have uneven risers/treads or pull to one side could be indicative of issues with your foundation. Uneven floors. If your floors feel wavy or uneven, you may be dealing with foundation trouble caused by frost heave. This phenomenon occurs when water in concentrated areas freezes and thaws underneath your property, forcing or heaving floors up. Don’t let a small crack turn into a big problem. 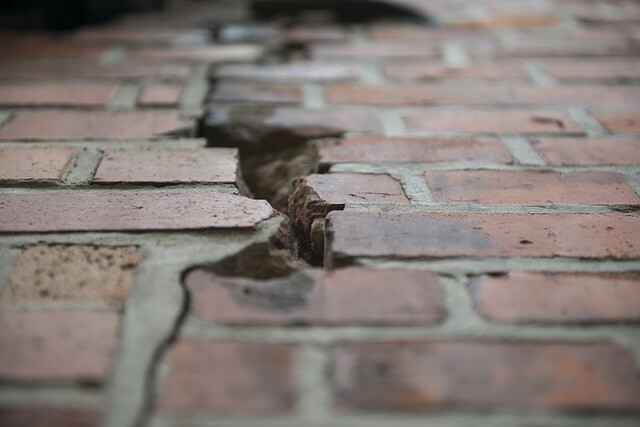 If you experience one or more of these issues, call the foundation protection experts at G. L. Hunt at (817 )886-0193 to evaluate your home at the first signs of foundation damage. Safeguarding your property from winter weather minimizes the likelihood of foundation issues and protects your investment. 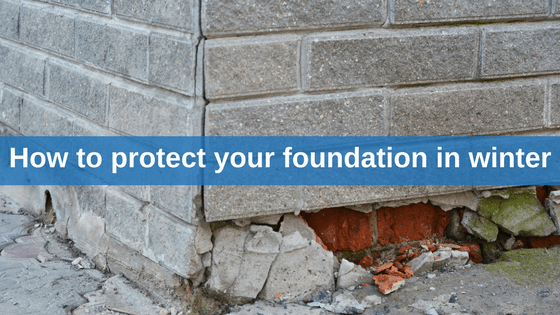 So here are three tips you can use to repair foundation problems and keep your home safe. The first thing to do is to properly winterize your home. Ensure that your structure has adequate insulation between the spaces of walls and pipes. It’s also a good idea to check that seals on doors and windows are able and intact to block drafts. Keep your residence effectively heated during the winter season, regardless of whether you aren’t present. This assists to moderate the main temperature of your house and prevent pipes from freezing. Maintaining a warm home environment not only protects your foundation but likewise saves you money on energy expenses. You can also make sure your drains are working properly and you have a foundation drainage solution. Check that gutters are free from debris and that your exterior materials are properly secured to the building, keeping water from penetrating the membrane of the building. It’s also important to inspect pipe connections outdoors to prevent and stop water leaks. If you do happen to notice foundation problems, you’ll want to take steps right away to minimize the extent of the damage. The experts at G. L. Hunt can assess your home foundation for damage and, if necessary, perform the proper repairs. When it comes to foundation problems, time is of the essence: treating the source of the issue in the short-term goes a long way to keeping your home safe in the long-term. The winter climate in Texas, though, indicates expanding and contracting soil can lead to home foundation predicaments. Most foundation problems are caused by weather phenomena, especially during the cold and freezing temperatures experienced in the winter months. Temperatures in winter aren’t a problem for the majority of foundations in Texas, but occasionally you’ll get a harsh winter that can create issues. For this reason, it may be a good idea to inspect for foundation problems during the winter months. You may still want to consider checking for foundation problems on a regular basis year-round, so you can handle an issue quickly if you do encounter one.